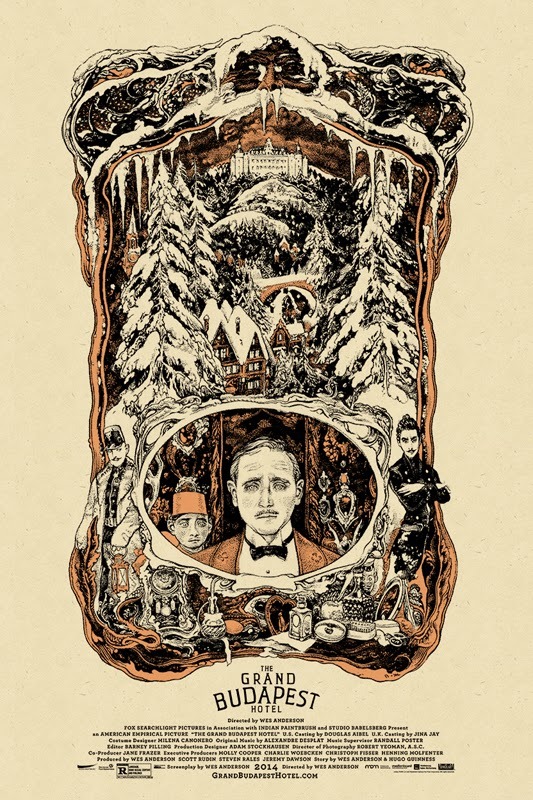 Mondo has entrusted new Artist Vania Zouravliov to handle the poster for one the most popular films of this year Wes Anderson's Grand Budapest Hotel. The poster hits the same day the film hits blu-ray Tuesday June 17th at a random time, keep checking the Mondo Site for availability. The screen print measures 24x36 and will be an edition size of 275 for $50.